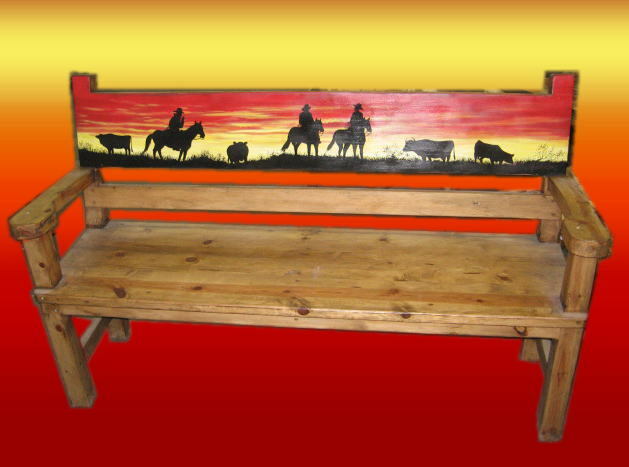 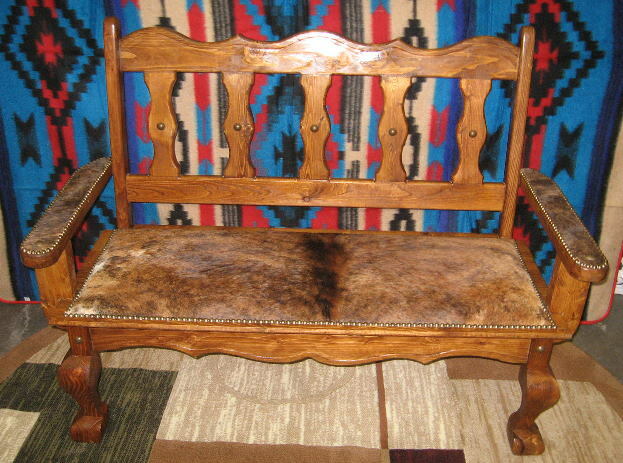 Custom southwest Texas style southwestern furniture made the way you want it. Take any of our designs and mix and match to your personal desire. 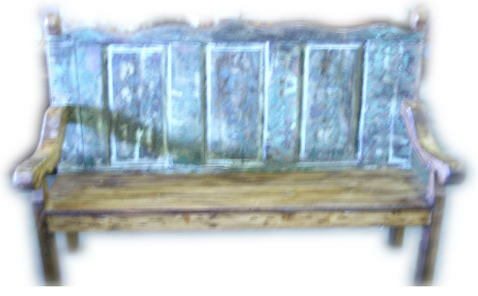 Hides are available in black and white, brown and white, brindle orn salt and pepper. 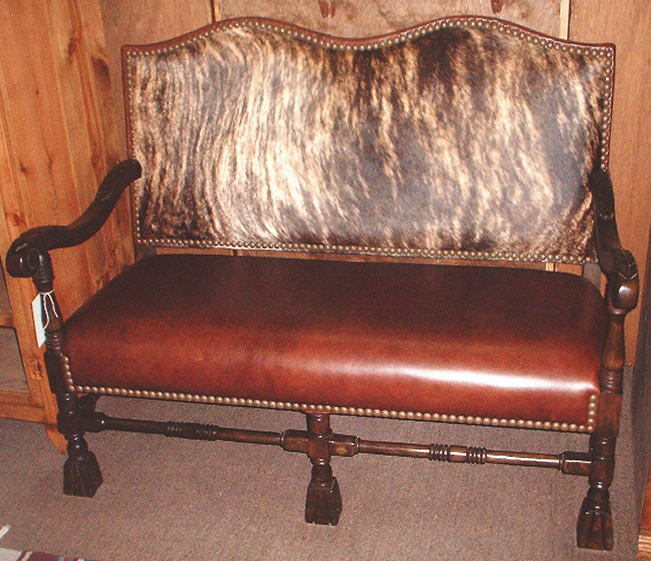 Leathers are available in light brown, dark brown, black or redish brown. 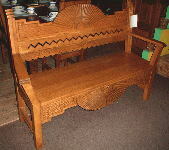 Carvings can be appied to pieces in Texas star, chip or rope creations. Custom work usually takes apx. 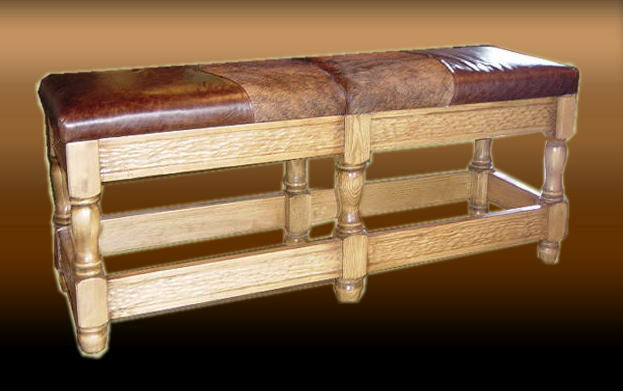 3 - 4 weeks to make and ship. 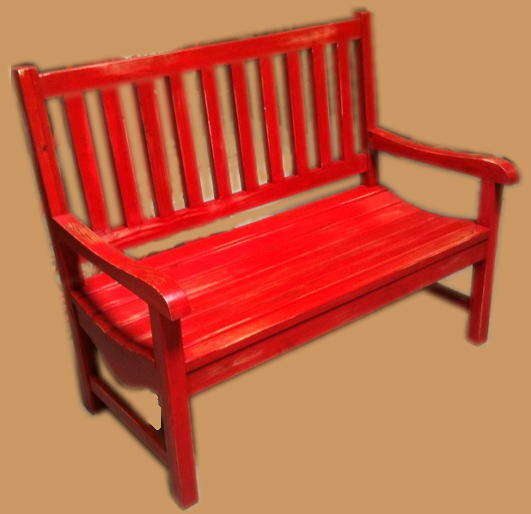 Call for shipping quote to your area. 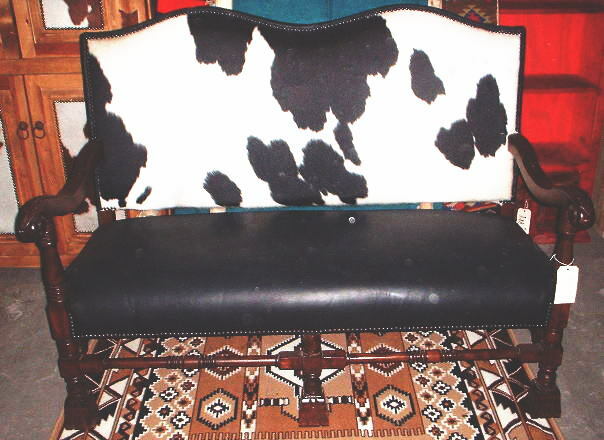 Black & white Cowhide and horn bench Apx. 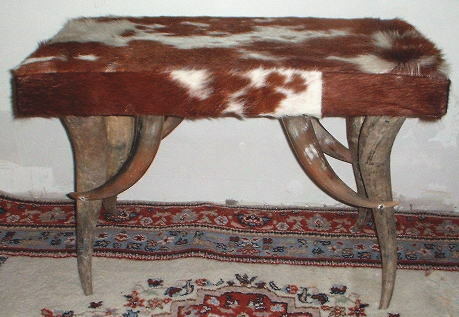 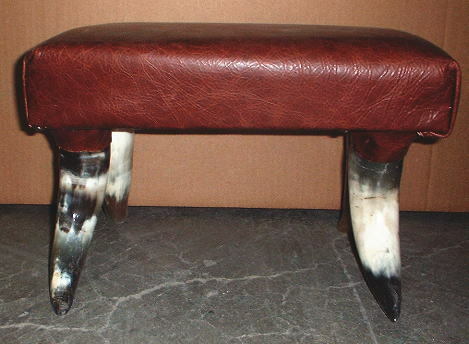 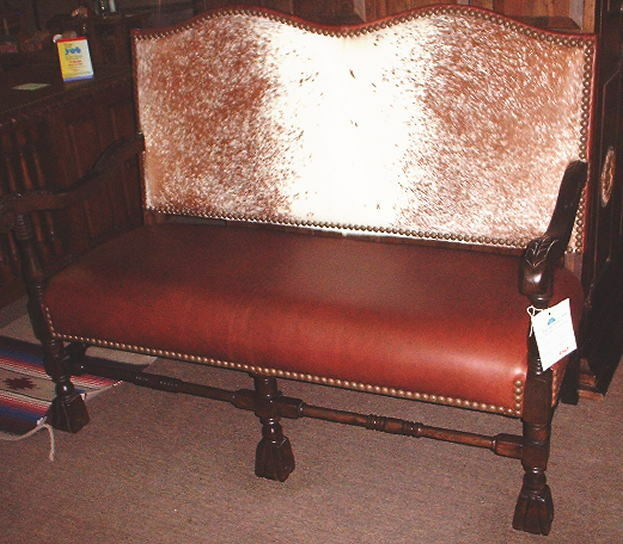 29" x 17" x 20"
Brown & white Cowhide and horn bench Apx. 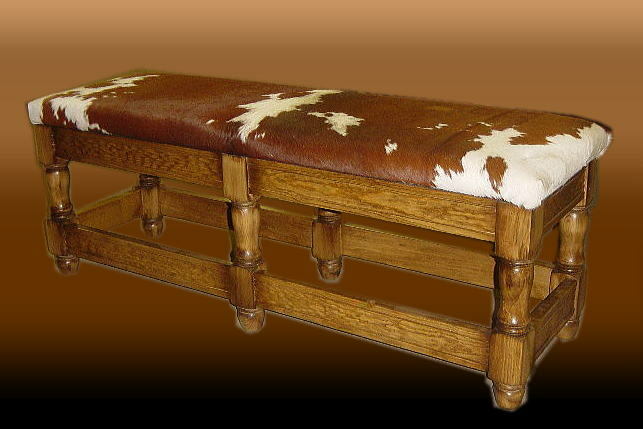 29" x 17" x 20"
Leather foot stool Apx. 14" x 9" x 10"
WE CAN PAINT IT ANY COLOR YOU LIKE.